Well hello to you my reader chums and a happy new year! 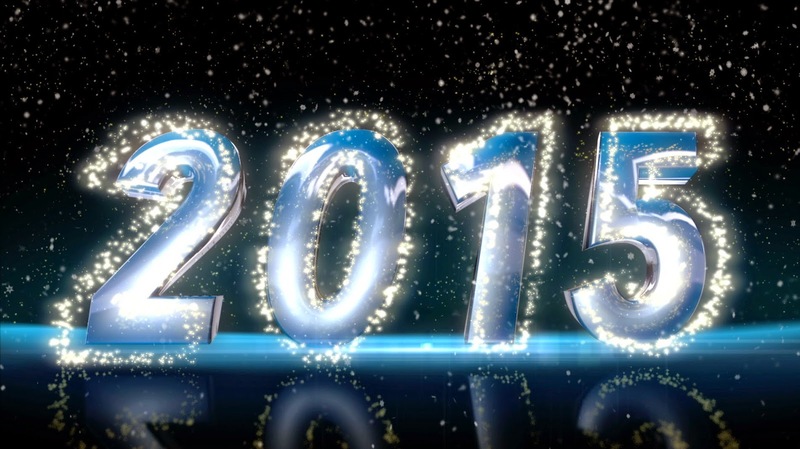 I hope 2015 brings all of my readers happiness, love and amazing opportunities. Its a new chapter in your life so grasp every single moment, worry less and enjoy everything life throws at you. 2014 was a very challenging year with many obstacles, however it was a time full of unforgettable memories and special moments. I've learnt so much about myself, gained a lot of happiness and confidence within me and learnt who my true friends are. There were many experiences I had which I'd never thought I would do and will cherish forever. I'm super excited to see what 2015 brings for myself, friends and family. I'm going to be honest and say I never really stick to my resolutions as I usually forget them but if I write them out I'll always have it to look back on which can remind me throughout the year. 1. Worry less and stop over thinking: This is something I spent a lot of time doing this past year, over thinking meaningless conversations or events and worrying to the extend I sit crying for hours, thinking up awful situations.I want to stop, this year every time I'm down or sad I want to turn it into something positive and train myself to look at the upside of things. Instead of worrying so much about the smallest things, I'm just going to try and reassure myself it'll all be okay. I know preventing myself from worrying and over thinking will take a good while but I'm willing to give it a try because looking at the negatives and letting other people put you down doesn't achieve anything, we should all love and support each other. 2. Overcoming anxiety: I don't think I've really spoken about this on my blog because I don't really like to draw attention to it and I feel as if some readers may think I'm trying to 'copy' the likes of Zoella or that I want attention. However none of these are the case, over the past year I've had periods of time where my anxiety would be really bad and I'll be panicky and get anxious a lot, yet there were times where its not been bad at all. I usually feel anxious or have a panic attack when I'm either on my own and don't feel safe or when I'm in a crowd and feel trapped. There have been times where I do just feel anxious in ordinary situations and to be honest its not a nice feeling. Due to the past month being really good where I've coped with going out on my own or in crowds, I'm hoping to carry this on through the new year. Obviously the problem won't be fixed as easily as I hope because its an on going thing, yet I feel hopeful, hopeful that even if I do have panic attack and are not calm in a situation, I'll be able to get through it and can reassure myself it'll be okay. 3. Getting healthier: This is a resolution I'm pretty sure everyone makes, unlike everyone else I don't mean go on a full on diet, I want to start to exercise as much as I used to, eat more fruit and food which will benefit me rather than food which doesn't give me energy. I want to make little changes to my daily life, not a full on extensive lifestyle change. I think just by those little changes, it'll give me that extra lift in the day. It doesn't been I can't eat bad food because lets be honest I'm the biggest chocoholic going and have an obsession with nutella haha! 4. Blog more: Blogging is one of my favourite things to do, the amount of happiness that comes from simply writing a blog post and receiving the comments I get is about the same as Christmas morning for kiddies ( and myself), A LOT OF HAPPINESS! I love my blog, its my little space on the Internet that's mine, something I can use to share my thoughts, a little escape, a sense of freedom away from my normal life. I think its crazy when I see all the good feedback. Starting up Della Loves Nutella was one of the best choices I've made and this year I want to make more time to sit and write on it as I enjoy it so much, especially the community that comes with it. I want to aim to write one or two posts a week, two on the weeks where I'm not too busy and one when my week is full on. At times I probably won't always have idea on what to write, but I won't force and idea, I'll simply take a break that week. In this little paragraph I want to say a big thank you to all of those who have read and supported my blog in the past year. 5. Start writing a book: The last resolution is to write a book. I think this is something else I've never mentioned on my blog before. I've loved reading ever since I learnt to read, I read a lot when I was little and its carried on throughout my whole life. I love the idea of escaping into the fictional world and discovering different stories. The first time I said I wanted to be an author I was about 12 and since then I've had many other career paths I wanted to take, yet the thought of an author always stuck with me. I get so much happiness from reading a book that I'd love for the same thing to happen with one of my own. This is a big dream that I've had for a while and it may not even happen, but I want to get all the ideas and begin writing to see where I get an if I enjoy it. Writing a book will be a lot different to my blog but I'm going to give it a try, its all about the little steps of following your dreams. There's all my resolutions for this year, lets see what the year brings and by next year look back and see if I stuck to those! I hope you enjoyed this post, what's your resolutions? Some interesting resolutions you have which are similar to my own. :) I really hope you can learn to deal more with your anxiety. A lot of people have it, some more severe than others. Also sometimes certain things trigger it. I started to get it during my exams last year, it was never severe though. But since then I have kinda been anxious of other things. Also good luck writing your book, not an easy task at all. Wishing you health and happiness this 2015. Such great resolutions :) I'm so happy that you shared about your anxiety. I totally know what you mean when people say that you're just trying to copy Zoe. I also really love the first one because I do exactly the same thing! These are such great resolutions, I'm totally like you, and never stick to my resolutions, but maybe this year we both will! I was about to write a '2015 goals' post as well, but one of mine is to stretch at least 3 times a week, because I'm now doing dance lessons 3 times a week and I need to be more flexible. You've gained a new follower in me, best wishes for the new year! Just posted something like this! !